This is a great time to be a television viewer. There are more interesting shows available than I could possibly watch, including past series to check out on DVD. While I'd love to say that this list is all-encompassing, there's only so much time each week. Also, I don't currently have HBO and Showtime, which knocks out Game of Thrones, Homeland, and Boardwalk Empire. Another glaring omission is Breaking Bad, which nearly everyone agrees is one of the best shows on TV. I still need to go back and start that one from the beginning. With all these caveats noted, I really enjoyed all the picks on this list during 2011. I'd love to hear your favorites from this year in the comments section. I wouldn't call myself a reality TV fan, and the only shows that I regularly watch involve competition. The two staples since the beginning have been The Amazing Race and Survivor, and I have always considered the former as the better show. Now I'm not so sure. It's become predictable, and the producers don't seem willing to mess with the formula. I still enjoy the impressive locations, especially in HD, but it's not always must-see viewing. 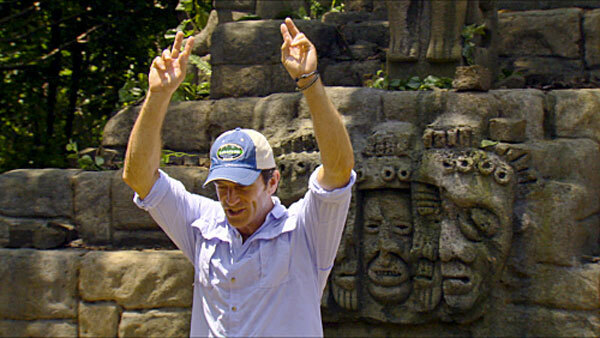 On the other hand, Survivor continues to take chances. Even if they miss like with the Redemption Island twist, I appreciate the willingness to adjust the format and keep things fresh. This year's success came with casting, especially with the most recent South Pacific season, which had plenty of great characters beyond the two returning players. The spring season was a bit predictable, but watching Boston Rob dominate the newbies was a sight to see. I'll be recapping both shows for Sound on Sight in 2012, and I can't wait. Since its re-branding, SyFy has moved away from space adventures and focused more on "accessible" fare. This isn't necessarily a bad thing, though I wish they could offer material for both genre fans and casual viewers. An example of a hybrid is Alphas, which depicts a group of characters with unique abilities trying to do the right thing. They're sort of like the X-Men, but without the uniforms and cool gadgets. It took a little while to get rolling but developed into an effective series. A big reason is David Strathairn, who provides the stable presence needed to sell the sillier elements. A highlight was the appearance of Brent Spiner in "Blind Spot" as an intriguing and powerful guy with mysterious intentions. The finale's ultimate twist opens up a world of possibilities for next season. 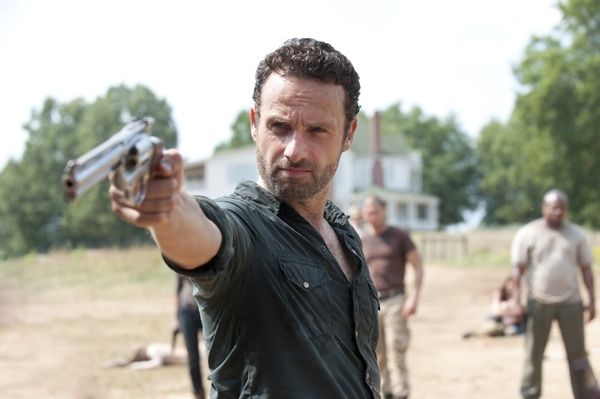 After a brief but successful first season, expectations were high for The Walking Dead's second outing, which would be about twice as long. There were some duller segments, but the slow burn approach paid off in the stunning finale. I wouldn't call myself a huge zombie fan, so I didn't mind the scaled-down approach at the farm. It gave more time for character growth, particularly complex figures like Jon Bernthal's Shane. The zombies still delivered some nasty, chilling moments, and their appearances had extra tension because they were infrequent. There's still room to grow, but I found plenty to like to stick around until the spring to find out what happens next to Rick and the gang. 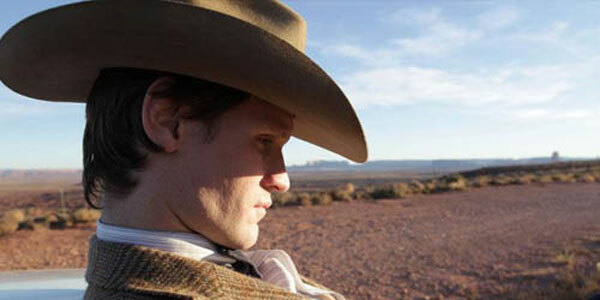 I was nervous when Matt Smith took over as the Doctor before the fifth season because I was a huge fan of David Tennant. Remarkably, Smith's made the character his own during the past two years. Steven Moffat also became the show runner during that time, and he's brought a new take to Doctor Who. The arcs extend for long periods and spiral in and out of themselves across the seasons. Moffat's also done amazing work on the Sherlock reboot, and he's the right man for the job. Beginning in America with the Doctor's apparent death, this season had some dips, but its highs made up for any weaker moments. Smith, Karen Gillan (Amy Pond), and Arthur Darvill (Rory) are a great trio and have excellent chemistry. Their connection sells even the crazier plot lines and produces surprising emotional moments within the zaniness. This fall season is the first is a long time without a Stargate franchise show on the air. 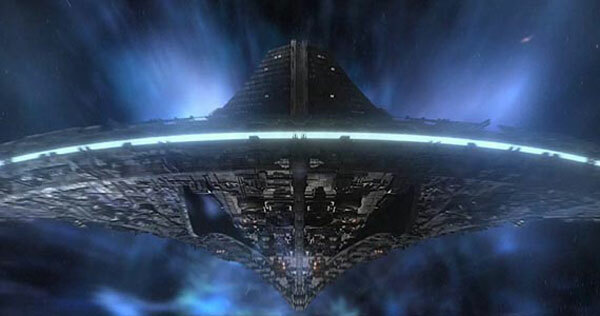 Stargate Universe (SGU) concluded its second season in May and wasn't renewed by SyFy due to low ratings. It's sad because this sci-fi drama had really hit its stride. Dismissed by many as a Battlestar Galactica clone, SGU discovered the right balance between the space adventure and character moments. Robert Carlyle, David Blue, Alaina Huffman, and the rest of the extensive cast were just starting to inhabit their roles. I'm hoping SGU will find an audience on DVD, which allows the ongoing story lines to flow smoothly. It deserves a better chance and could surprise viewers not interested in the rest of the franchise. Few shows take as many creative chances as Fringe and somehow find a way to escape getting trapped in a corner. The second half of the third season brought Peter (Joshua Jackson) into direct contact with the machine connecting the two universes. This moment had been set up across many episodes, and the resolution went beyond anything I could expect. There have been a few issues this fall dealing with this different world and characters, but the actors remain at the top of their game. 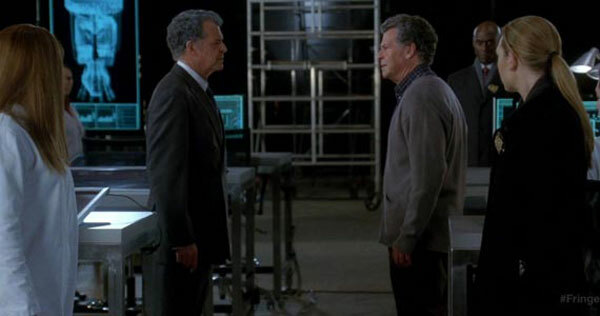 The show's champion is the great John Noble as Walter, who has crafted such a wonderfully nuanced character during the four-year run. He gets the flashier moments, but Anna Torv is equally sharp as the more straightforward Olivia. Both deserve a lot more acclaim and are doing some of the best work on any TV show. This may be Fringe's last season, and I have high hopes that the writers will continue to go unexpected places with the stories. 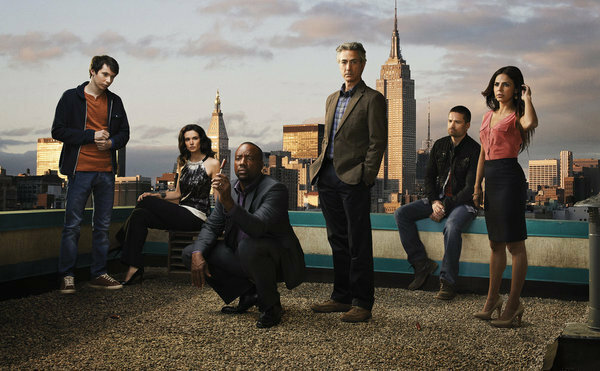 It's one of the very few must-see genre shows on the broadcast networks. 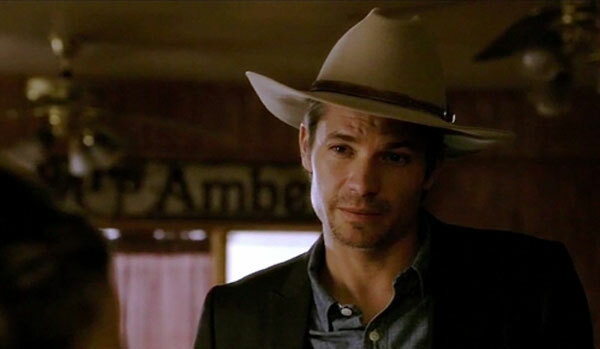 I watched Justified's first season on DVD for PopMatters, and I was surprised by how well it translated Elmore Leonard's style to the small screen. This is no easy task because his characters need time to breathe and grow. A serial drama on cable is the perfect place for this story, and it helps to have an excellent cast. 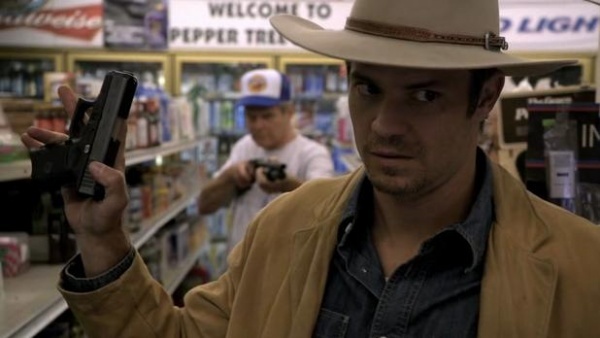 Timothy Olyphant is stunning as the old-school hero Raylan Givens who's willing to use his gun if needed. Walton Goggins is also remarkable as his longtime adversary and friend Boyd Crowder and steals scenes from virtually everyone. This season includes fewer one-off episodes and focuses on the conflict with the Bennetts, a crime family chaired by Mags (the great Margo Martindale). She's much different than the straight-up evil baddie from the first year, which makes for an riveting conflict. It's fun, well-written television that provides great drama without taking itself too seriously. I can't wait for the third season, which premieres on January 17. This is a great list of shows I'm not that familiar with. You'll definitively ant to check out Homeland when its released on DVD. Its awesome. When it comes to Breaking Bad I'm with you. I have seen some random episodes but need to give it my full attention just because the hype. You seem very passionated about Survivor I like your recaps. I remember seeing the first Swedish seasons of it 13-14 years ago. It sure was ground breaking. Also the first Swedish season was halted when a participant threw himself in front of a train when getting back to Sweden. It became a big thing since he was the first one voted off. 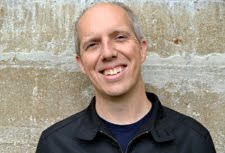 Joel, that's crazy to hear about that contestant; I can imagine that cast a pall over the show for a while. Survivor can be hokey at times, but I still think it's a lot of fun. It can be addictive, even after 20+ seasons, which says a lot. If you get a chance, you should definitely check out Justified and Fringe at a minimum out of the Top 5. Those are must-sees shows. Castor, we watched the first few episodes of Season 1 when they aired, but there was just too much happening and it slipped through. It's definitely near the top of my list of shows to catch up with on DVD. Well, as I noted in my Game of Thrones post, it isn't exactly hard to find the episodes online. It would be my top show of the year. Chip, I'm sure they're pretty accessible. The main thing is finding the time to catch everything. I'll definitely be seeing Game of Thrones in the future, though. Thanks!